"A series of recent reports from the congressional Office of Technology Assessment put the choices starkly: Any major new undertaking beyond the space station, whose fate also remains to be settled, would require the development of a costly new generation of rockets that could loft large amounts of weight into orbit. Sending people to Mars of deploying a major military system (like the Strategic Defense Initiative, or "Star Wars") could not be accomplished with existing launch power...The key question now, which will determine most other space program decisions into the next century, is what kind of rockets NASA should be ordering"
"NASA still requires a heavy-lift launch vehicle for human exploration beyond low Earth orbit, and it is possible that at least one of these "commercial" launch vehicle systems currently focused on the ISS could evolve to having heavy-lift capability. Given the commonalities in technology and industrial base, as well as similarly high standards for mission assurance, coordinated development of new launch vehicles by NASA and DOD may be a more effective approach to advancing U.S. competence in launch vehicle technologies." If you look at space policy development over the last 30 years regarding human spaceflight it has always been NASA centric. It has just been assumed that NASA would do this, it would be government funded, and thus all of the burdens and compromises of a political process that does not favor NASA will continue to be at play. However, things have changed in the world. Today we do have that NASA space station that we did not have in the 1980's. We have companies that have been started by people who have the avowed desire (SpaceX) to send humans to Mars for settlement. We have Robert Bigelow busily working on his own orbital complex. We also have had a company book hundreds of millions of dollars in revenue for space tourism with more coming. We have a commercial communications satellite industry with revenues an order of magnitude greater than NASA's budget. Thus a complete national space policy must today go beyond NASA, to encompass private enterprise, economic development, and even industrialization and settlement of the solar system. The economic and industrial development of the resources of the solar system for the benefit of the United States of America and all mankind is the goal of our national space efforts. NASA is structurally and technically incapable of such a goal nor should it be put in charge of it. That is a job for the people of the nation, through their individual and or corporate efforts, but with the full faith and credit of the government backing it. Abraham Lincoln fought this battle as many derided the Pacific Railway act of 1862 with opponents stating that the government had no right being involved in "internal improvements", yet at the time private capital was insufficient to the long term task of binding the nation together in commerce with a transcontinental railroad. It took government structural and financial backing to get the job done and the benefits to the nation echo down to our present time. The economic and industrial development of the solar system will do more to solve our global problems than all of the other policies that governments around the world are pursuing put together. Today we live in a world that seems to be increasingly hopeless when debating solutions to global issues such as climate change, sustainable growth, pollution, and the development of new energy resources. It is laughable to we space technologists that we are running out of resources or energy. The resources of the inner solar system alone are thousands, nay millions of times greater than those on our planetary surface and they are accessible without the cost in pollution of mining these resources here. Thus it is in the national interest that this economic development be supported. It has been NASA science missions that have qualified these resources and now it is the larger role of the private sector with government support to move to the next level. The first halting efforts in this direction have been announced by companies such as Planetary Resources, SpaceX, Golden Spike, and my own efforts for lunar development. However, none of these efforts have the money to turn these efforts into reality and it is extremely unlikely that the private markets or venture capital are going to fund them (SpaceX as a possible exception) with the current level of perceived financial and technical risk. Thus the national policy goal should be to develop policies and provide incentives to lower financial risk and to extend the investing horizons of venture and other private capital sources to mitigate the higher risk and longer payback periods of capital intensive space efforts. This same type of approach is what brought four shopkeepers from San Francisco into the railroad business. Leland Stanford, Colis Huntington, Mark Hopkins and Charles Crocker, along with Charles Durant and others in the east changed the world with the national railroad, this same approach can be accomplished in space today. The biggest problem today in commercial space outside of the communications satellite industry is access to capital. Well funded large aerospace corporations have access to capital but they are not the innovators they once were and cannot be counted on to lead this development effort. Today we have this perverse situation where large foreign aerospace corporations with access to the debt markets can come into this country, build infrastructure and compete against our domestic aerospace industry while at the same time small and innovative companies are starved for capital. We must break this cycle if we are to make progress, create jobs, and build new American corporations in the strategically critical aerospace industry. 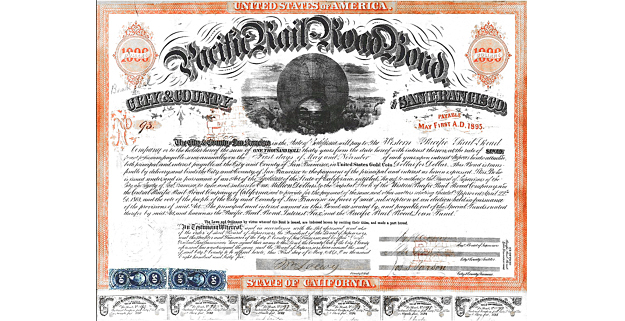 These "Space Bonds" would provide a low risk means for entities to raise capital that otherwise are not accessible to them. We now live in the second decade of the 21st century and our space policy discussion should be much wider than just "what do we do with NASA"? Developing a space policy that is larger than NASA should be our goal, which curiously was not touched upon by the National Research Council report. Nothing that the U.S. government could do would do more to help create jobs and rebuild our national wealth.